Bill Cosby, center, is escorted to Courtroom A in the Montgomery County Courthouse August 22, 2017 in Norristown, Pennsylvania. *Bill Cosby’s retrial on sexual assault will be postponed from November to March of next year, a judge said on Tuesday. 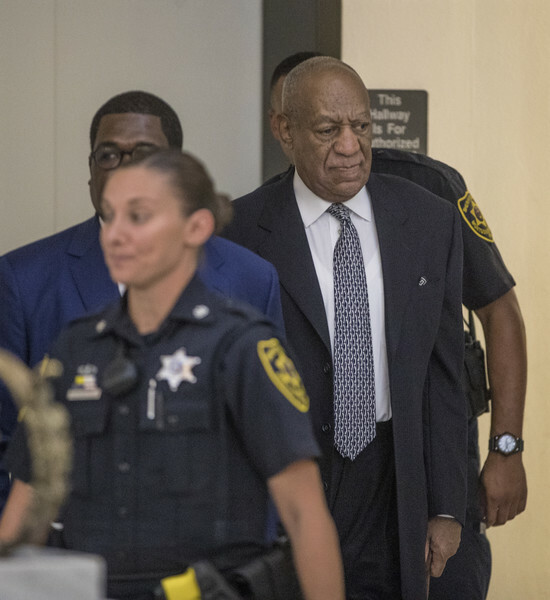 Montgomery County Court of Common Pleas Judge Steven O’Neill said the move will give Cosby’s new defense team enough time to prepare for the trial. The comedian’s first trial ended in June with a deadlocked jury following more than 50 hours of deliberation. Cosby is accused of drugging and sexually assaulting Andrea Constand, a former administrator at his alma mater Temple University, in 2004 at his Philadelphia-area home. Dozens of women have come forward to accuse him of sexual assault dating to the 1960s. He has repeatedly denied wrongdoing, saying any sexual contact he had with his accusers was consensual. Despite avoiding conviction in the first trial, Cosby hired a new legal team for round two. Tom Mesereau, best known for successfully defending Michael Jackson from child sexual abuse charges in 2005, will lead the team. Cosby’s retrial will be heard by jurors from the Philadelphia suburb that Cosby has long called home after Mesereau told O’Neill on Tuesday he would not seek a jury from outside Montgomery County.